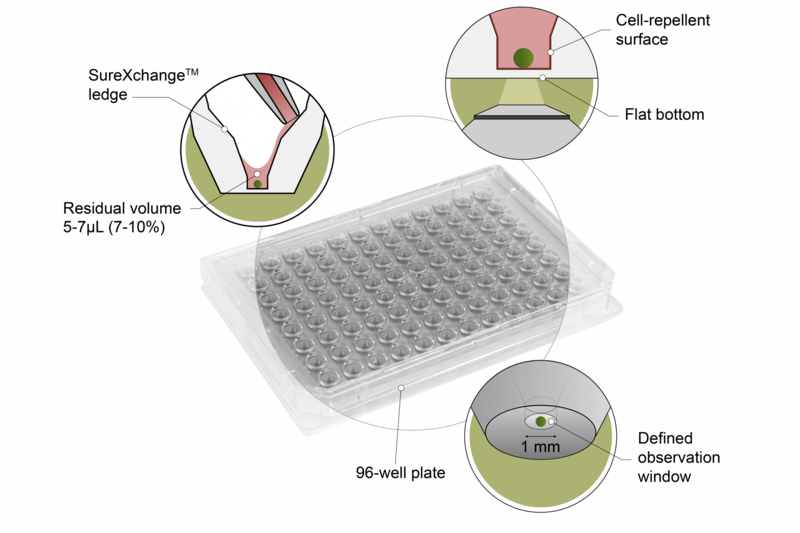 3D InSight™ Microtissues reach your lab assay-ready in Akura™ 96- or Akura™ 384 microtissue delivery plates, which are engineered to ensure safe transport, efficient handling, and reliable assessment of our 3D model systems. 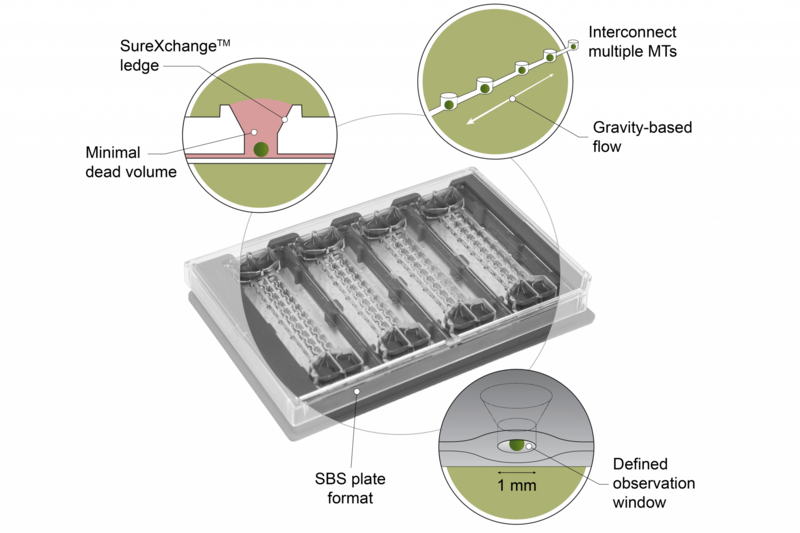 Unlike conventional assay plates, our patented Akura™ Technology microtissue delivery formats include non-adherent coating and unique features to simplify microtissue handling, and enable seamless integration of our advanced 3D models into your cell-based assay workflow. As you look to increase complexity, Akura™ Flow, our 3D multi-organ-on-a-chip system, enables culturing and interconnection of multiple 3D InSight™ microtissues under physiological flow conditions for microphysiological system-based pre-clinical testing applications. Our patented SBS format Akura™ 96 microtissue delivery format is compatible with conventional cell-based assays, advanced imaging, and automated liquid handling systems. Preserve microtissue morphology and functionality in long-term culture with a highly stable non-adherent surface coating. Our Akura™ 384 delivery format is compatible with state-of-the-art imaging and automated liquid handling systems for HTS applications. 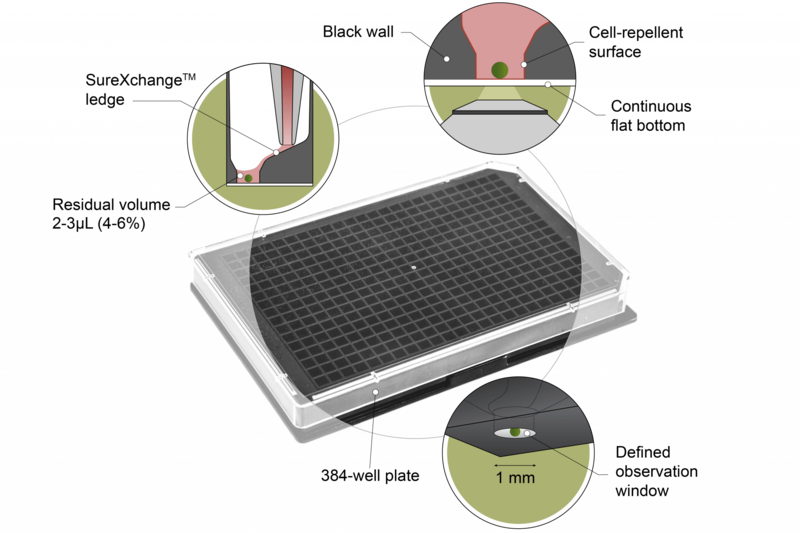 Enhance high content imaging quality with a continuous, flat-bottom 175 μm glass base plate, and eliminate fluorescent crosstalk between wells with a black-walled body. Increase physiological complexity while maintaining experimental simplicity. The Akura™ Flow microphysiological system for organ-on-a-chip applications makes microfluidic technology accessible to bench scientists who understand the biology they need to interrogate. It enables culturing of InSphero 3D InSight™ Microtissues under physiological flow conditions, with the flexibility to interconnect and culture different microtissues types and enable many different configurations, depending on your study objectives.